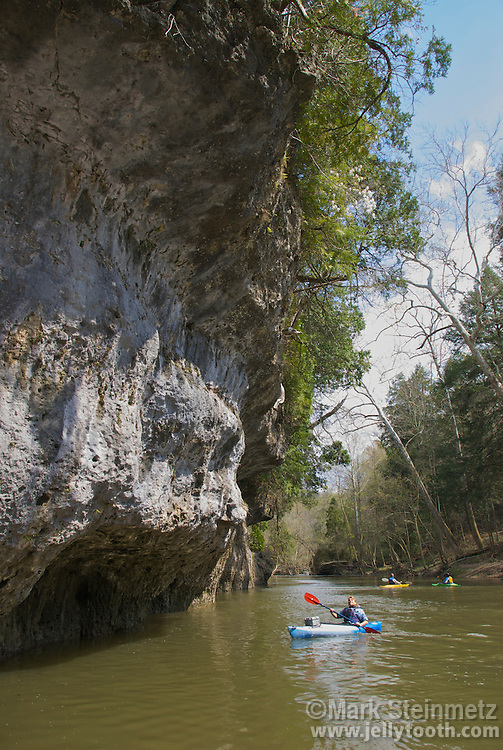 A recreational river kayaker gazes up at a Silurian-aged dolomite cliff in a river gorge. Dolomite, also called Dolostone to distinguish it from the mineral of the same name, is a sedimentary rock that is composed of calcium magnesium carbonate and resembles limestone. Rocky Fork Gorge, Highlands County, Ohio.